When it comes to planning a vacation, the cost is a factor that often sits at the top of your list of priorities. With many Americans spending at least $1000 per person on their main vacation it makes sense to look for ways to cut that amount. Travelling to distant destinations is obviously going to significantly increase the cost, but research is showing that shorter getaways are also starting to become expensive. 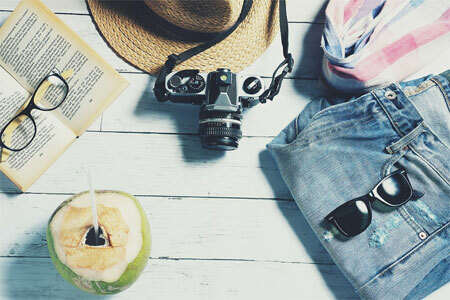 If you want to know how you can save money while still enjoying your vacation, here are some tips to help. Take into account exchange rates – this applies if you really want to take a trip abroad but be very careful you don’t put your own safety at risk. Countries with weak currencies, compared to the US dollar, are often experiencing economic or political instability. Sign up for travel newsletters – these can often give you the heads up of special offers coming up in the future. You might be able to find a cheap flight to your chosen destination or get offers on accommodation. Research incognito – you might not have realized, but many travel websites raise their prices when it’s obvious you’re looking at a particular hotel, date or itinerary. Use a VPN (virtual private network) or surf the web in incognito mode. Be wary of budget airfares – of course, you want to save money on your airplane tickets, but not all bargains are created equal. Take note of the small print and add in the additional cost of baggage, priority boarding check-in and other extras and your bargain flight might not be what it seems. Flexibility – if you’ve really got your sights set on a particular destination then this tip isn’t going to work for you. However, if you’re not so set, being flexible could save you hundreds of dollars. Have you thought about London for example? You could take advantage of London attractions offers and save £s. Being flexible on the timing of your vacation can also work to your advantage. The cheapest times to travel are out of season and midweek. Research other ways to get there – this really depends on the location of your vacation, but for many, the option of travelling by rail or bus will be much cheaper than flying. What is your budget for accommodation? – this is going to be your biggest expense, so it makes sense to look for the best offers. Think about what you really need before committing to a five-star hotel. Consider what type of amenities you need and whether you want to stay close to the action or a little out of the way. Every vacation you take should be special, whether you’re travelling alone or with family and friends. Above all, it should be a time for you to unwind, relax and not have to worry about money. Being able to save in various different ways will mean you’ve got more in your vacation fund and can have a memorable time. Try some of the tips above and make your next vacation a pleasurable one.